The Gallery of pop-up templates is a room for inspiration when you want to create a new pop-up campaign. You can discover how our onsite pop-ups can be designed and select a ready-made template to create your pop-up campaign. 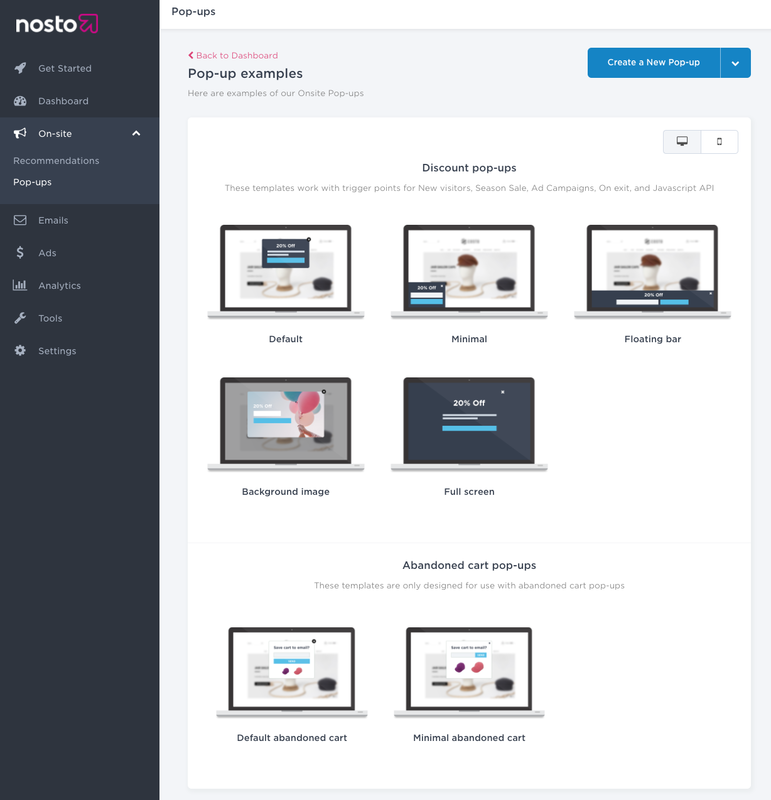 To reach the gallery, you need to select "View all templates" when you navigate under On-site and Pop-ups in your Nosto Admin Panel. The gallery is divided into two sections: Discount Pop-ups and Abandoned Cart Pop-ups. Abandoned Cart Pop-ups, including only Abandoned Cart Pop-ups. You can preview how templates look like on both desktop and mobile environments using the toggles in the top right corner of the gallery. All templates are responsive. 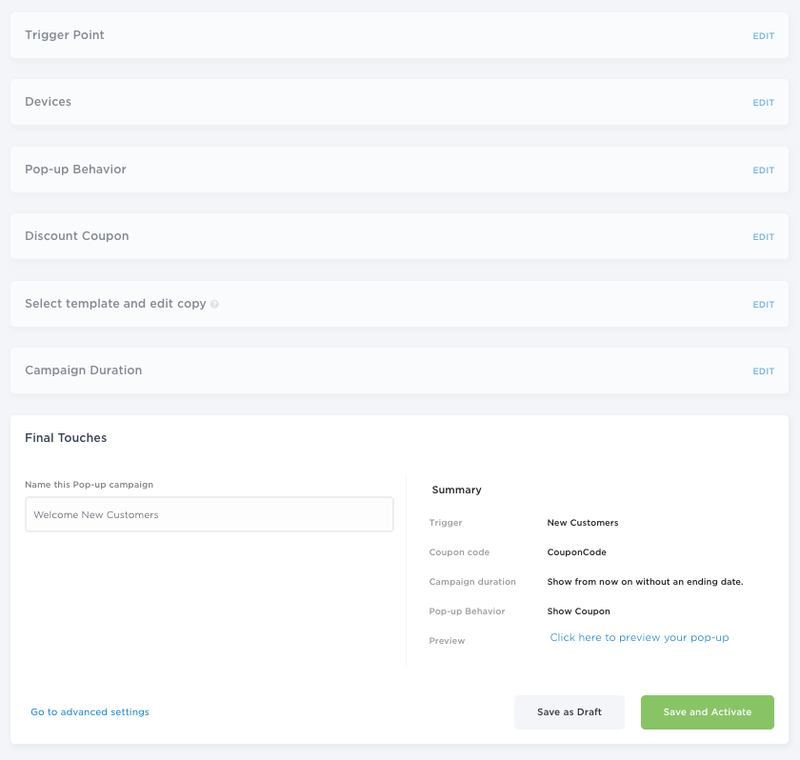 If you want to get started with a given template, select the template and start creating your campaign. Follow the wizard the template you have chosen in the gallery is pre-selected under the "Select template and edit copy" panel. 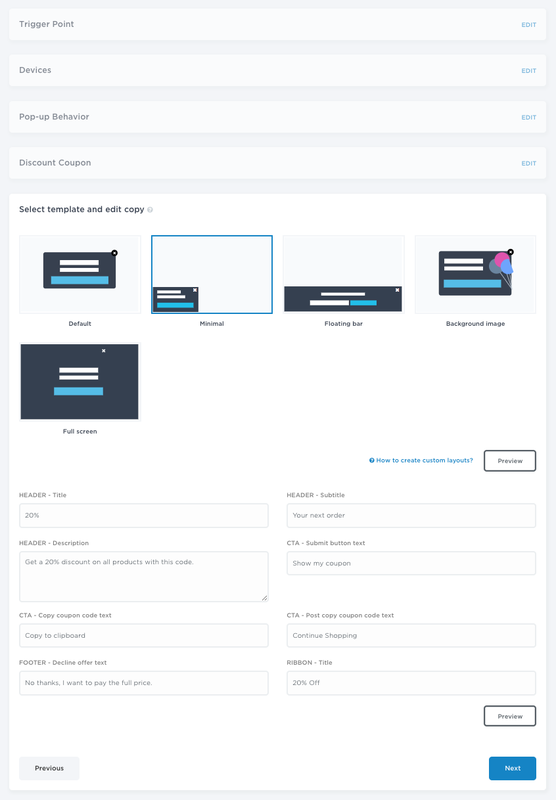 If you want to customize further the template, you can save the campaign as a draft and reach all settings under Advanced Settings in the bottom left corner of the Final touches step. If you're satisfied with the design of the pop-up campaign, you can save and activate and you pop-up campaign is launched.